No Results = 110% Fee Refunded! *As per test conducted by third party education specialist on standardised international competitive test formats. Cuemath Leap curriculum is designed by math experts from the IIT and Cambridge University with over 15 years of experience in teaching math. 9 out of 10 Cuemath students score 90+ in their school math exams. Competitive examinations test students on their problem solving skills and math aptitude which are based on the fundamentals learnt from grade 6 to 10. Reports from the World Economic Forum also state that critical thinking and problem solving will be the most important skills for the jobs of the future. A weak math foundation may lead to a majority of such jobs being inaccessible. Thanks to Cuemath Leap, I never have to memorize math again. The sessions are very interactive as these are live online classes. They explain the concepts using 3D representation which makes it easy for me to visualize them. Cuemath Leap is a very different experience as we learn math from the experts from IIT and Cambridge University. Though it’s an online program, I feel my teacher is there right next to me and instantly clarifies my doubts. After joining Cuemath, I have started scoring 95+ in school math exams. How is Cuemath curriculum/methodology in Cuemath Leap Program different from school/tuition? 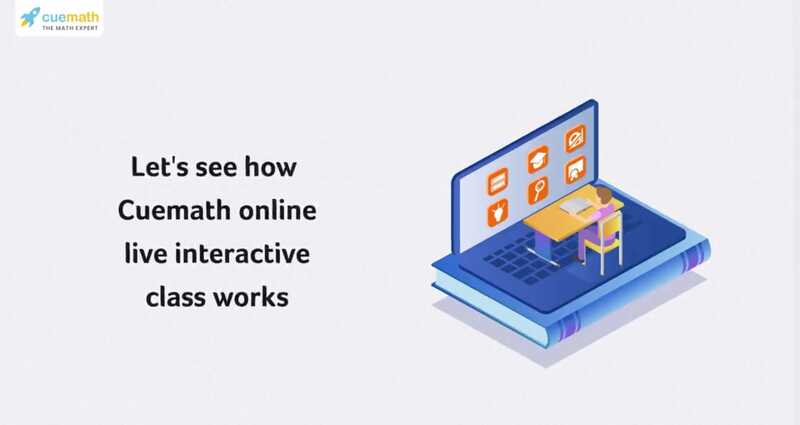 Cuemath Leap is a special curriculum designed by math experts from IIT and Cambridge with 15+ years of experience in teaching and expertise in competitive exams. The advanced curriculum entails a customised learning plan for each student supervised by a program manager to track improvement areas for an uninterrupted learning experience. A live interactive session with a teacher helps a student clear doubts instantly. With Cuemath advanced curriculum, students stay 2 years ahead of their class. Our methodology is aimed at nurturing creative thinkers and problem solvers of tomorrow by helping them develop mathematical thinking. How does Cuemath claim to give a 2-year head start? How would Cuemath provide instant doubt clearing in non-working and non-class days/hours? How will Cuemath cover the curriculum of different boards? How is the Cuemath Leap Program different from other, app-led pre-recorded videos?